When you first find out you are pregnant, you tend to go a bit over board with all the gadgets, gifts, and accessories you can think of ever needing for baby. Of course when bringing a new life into the world you think you need to give them everything available and be prepared for any and I mean ANY situation. We live in the day and age of technology as well which can make things a little more complicated when choosing which items are best and which are just a waste of money! 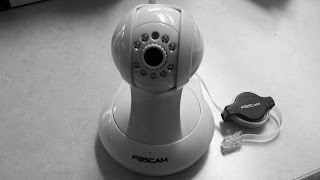 One of the best gifts I received at my baby shower was a baby monitor but that was over five years ago. My younger sister is now pregnant with her first and I can't even think about giving her mine as its out of date (and definitely not as cool as the new ones available). 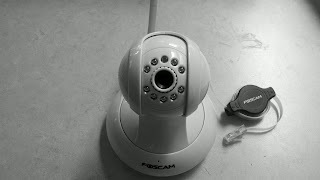 Its funny though being that my husband had worked for a private investigator over the last five years, I feel as though I have become much more knowledgeable in this area of technology as well more dependent on it. So when NextStepBabyMonitors asked me to become a Blog Ambassador for their brand I was pretty psyched as I know they are maker of quality monitors which suit most every need and use! I was recently sent over the NextStepIP Pro which is the same as the NextStepIP Classic but with several new upgrades. NextStepIP Pro is an iPhone and Android video baby monitor. With this monitor you are able to monitor baby from your iPhone, iPad, Blackberry, Android, Mac or PC (includes all windows, apple, and android users)! One of the first things you need to know about this brand too is that even if you switch devices or ISP's you have Lifetime Support so you don't have to worry about getting things re-setup! With the NextStepIP Pro you can pan and tilt the camera from any supported device including using digital zoom to get in close up shots. The Pro version has improved audio quality and clarity. "NextStepIP uses a direct connection between you and your camera. This provides secure password-protected access using the latest WPA wireless encryption." Completely wireless you can easily place wherever needed...even a hard to reach location where cords might not reach! IR Night Vision allows you to see baby in the middle of night or completely pitch black scenarios without disturbing your sleeping angel! "NextStepIP Pro can send you an email alert with snapshots of the video attached when it detects a certain level of sound or motion." Plus not only can you watch baby but listen as well as talk back when needed and your voice comes out a camera mounted speaker. On top of all of the previously mentioned features, NextStepIP Pro a new IR Cut lens which keeps your colors from looking washed or distorted. And whether you need help setting up or changing your system over to a different phone, you can count on lifetime USA based support! Recommendation: Not only are their prices great but the selection is a decent one. Ordering everything is very easy and shipping was extremely quick. I love how easy this was to set up, use and connect with their support when I had questions! Facebook: NextStepBabyMonitors Head over to their Facebook Page now (9/1/13 @ 1pm EST) for a flash giveaway!! You don't want to miss out on your chance to win! !